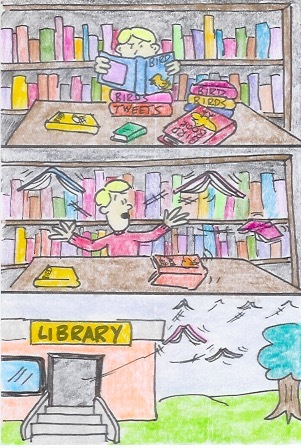 Having not learned his lesson about the mysterious magical library where books come to life and mimic their subject matter, Billy takes out a number of books about velociraptors. Soon the small town of Merrickville must defend itself from rampaging books out for blood. Coming this summer from the producers of Night at The Museum!